Smartphone Fanatics: Photo of Apple CEO Steve Jobs - With a Collar?! We all get it - Apple isn't about pinstripe suits, and Apple's CEO Steve Jobs wears a black turtleneck shirt and jeans. He wears it to work, during keynote speeches, and when meeting with government officials. 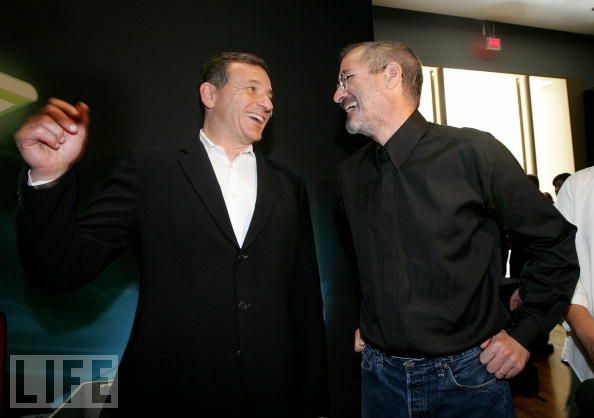 I found the above photo on 9To5Mac.com, which shows Disney CEO Bob Iger talking to Apple CEO Steve Jobs - wearing a black shirt with a collar! You can read the article over at 9To5Mac.com.